I have semi-thick hair with very dry, damaged ends so I need something very hydrating but one that will not weigh my hair down as I also like a bit of volume in my hair. 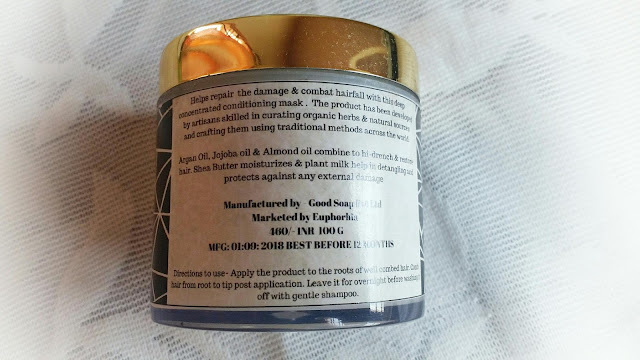 In today's post, I'm going to introduce a new hair mask which I have been using for a month. Here I'm talking about AM Greens Intensive Hair Mask. I have received this Hair Mask from the brand. I don't have the luxury of time to do daily hair treatment but I always promise myself to do more often. This time I decided to try this Hair Mask because argan oil is one of the best ingredients that you can find out there to revive unhealthy hair like mine. The product claims so many good things that actually I needed. So let's get details about the hair mask. The Hair Mask comes in a 100g size transparent plastic tub with a golden metallic screw open lid. Under the lid, there is another white plastic cover that provided to prevent spillage. How To Use AM Greens 100% Natural Intensive Hair Mask? 1. 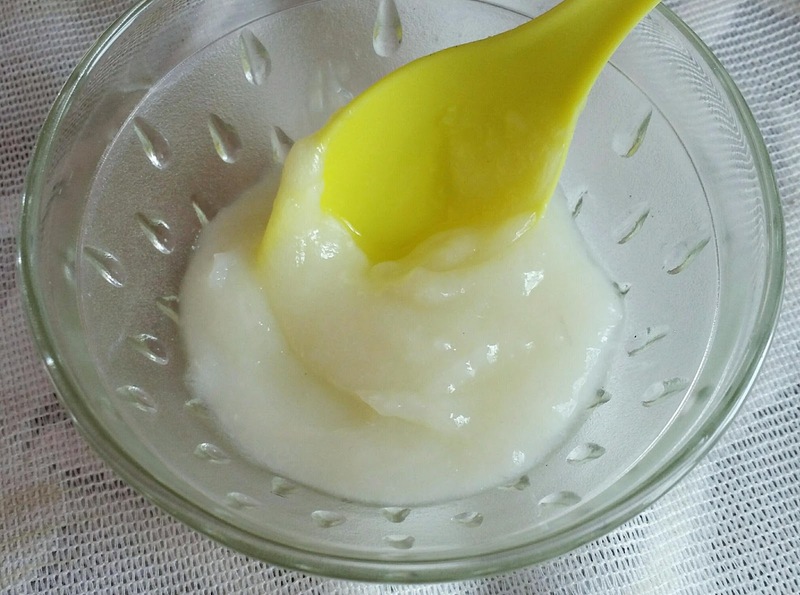 You need to apply this hair mask to the roots of well-combed hair. Leave it for overnight and wash your hair the next morning with a mild herbal shampoo. 2. Or you can even apply this in the daytime and leave for some 3-4 hours and then use a mild shampoo. AM Greens 100% Natural Intensive Hair Mask is specially designed for damaged hair. I have been using this hair mask for past 3 weeks. I have been able to use this mask about 3 to 4 times in the past few weeks. At the very first day, I have used this mask as per the instruction which is already mentioned on the tub. To be honest, I felt like I was using coconut oil and my hair were feeling quite heavy during application. I apply this mask beginning at roots and working the way to the ends. I had to shampoo 2 to 3 times, to get the mask out of my hair. After shampoo, my hair looks very moisturized, shiny and healthy. 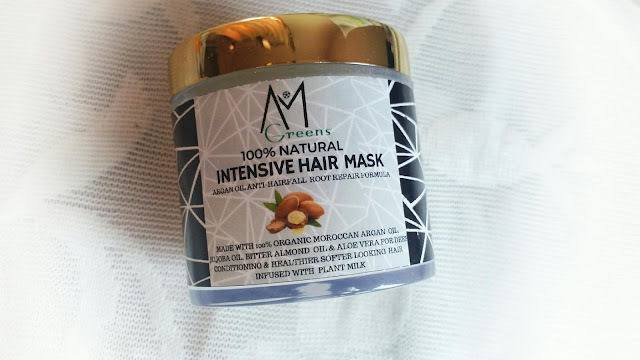 AM Greens 100% Natural Intensive Hair Mask is a deep moisturizing hair mask which enriched with organic Moroccan Argan oil, Jojoba oil, Aloe Vera & Bitter Almond oil. It also contains plant milk which makes hair soft and healthy. The main ingredient organic Moroccan Argan oil is proven to make hair softer, silkier and shinier. It is the ideal hair conditioner. It also prevents hair fall and promotes hair growth. I'm very happy with the results of this hair mask; I got extra shine, a lot less frizz (not zero frizz but significantly less), and super soft hair. So a thumbs up to AM Greens 100% Natural Intensive Hair Mask!